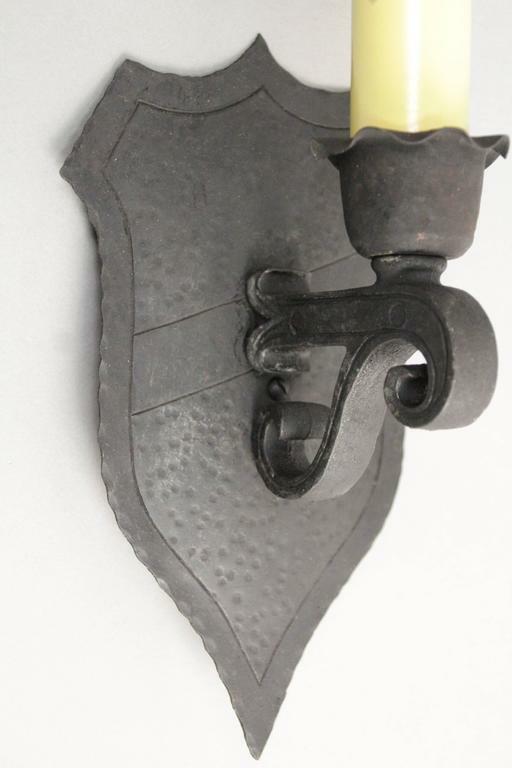 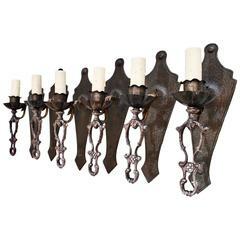 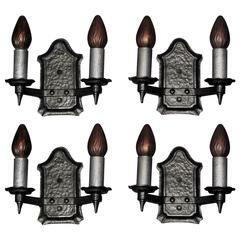 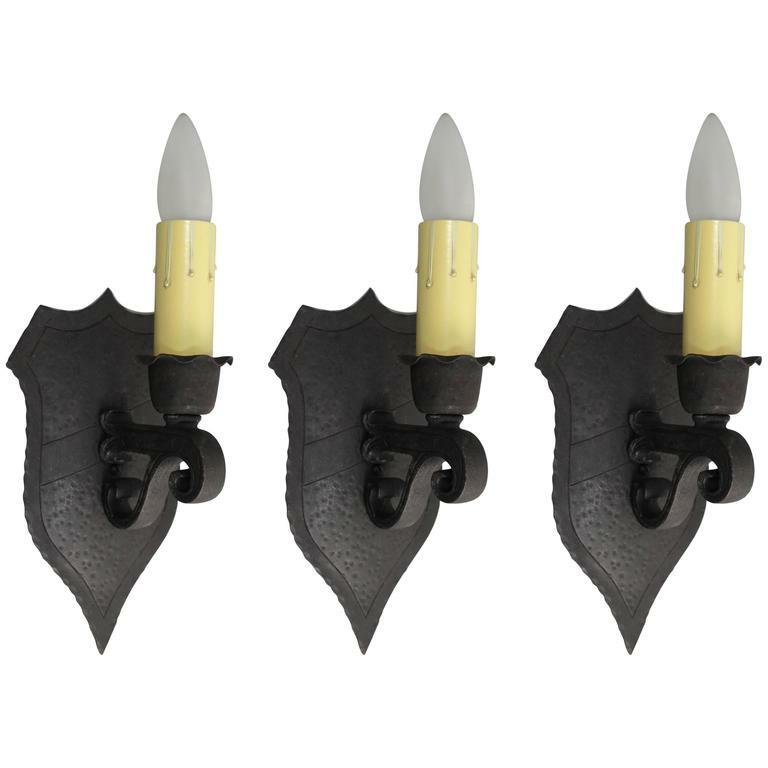 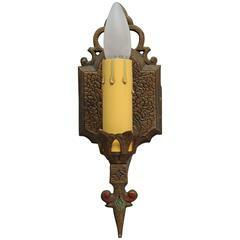 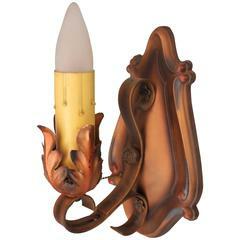 Sold and priced individually, circa 1920s single light sconce with shield shaped back. 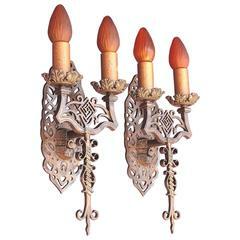 Original copper finish with polychrome accents. 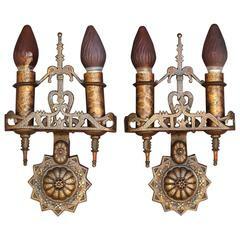 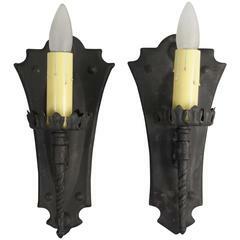 Pair of single light 1920s sconces. 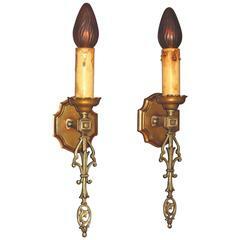 Pair of sconces with interesting backplate, circa 1920s.